(a) It is a beautiful island that offers beaches, stunning countryside and excellent tourist facilities, all supplied with courtesy and friendliness. (b) Excluding the Isle of Wight Festival, the island is not overcrowded. There is ample space on beaches with lengthy level promenades, country lanes are peaceful. There is that feeling of calm and always helpful people who have the time of day to stop and ask. (c) It is easy to get around the island using the Isle of Wight local buses which are all wheelchair accessible. (d) There are lots of tourist attractions which are also wheelchair accessible. (e) One final overriding factor for a holiday on the Isle of Wight is attitude of local people who are generally pleased to stop and talk. This one factor makes the Isle of Wight a most pleasant place to be. There are plenty of holiday cottages in the Isle of Wight for self-catering breaks. Among them are a good number of bungalows that have no steps to negotiate and access ramps for entry. The accommodation for disabled people is likely to have bathrooms or wet rooms equipped with various mobility aids, grab bars and perhaps emergency buttons. It is very important for wheelchair users to rent a holiday cottages that has been designed for them from the onset. Doorways have to be wide enough not to scrape with a wheelchair. There need to be adequate turning circles in all rooms. A cottage that has not been designed to allow for wheelchairs would be a frustration for the disabled person and an annoyance to the accommodation owner if it is inadvertently damaged. 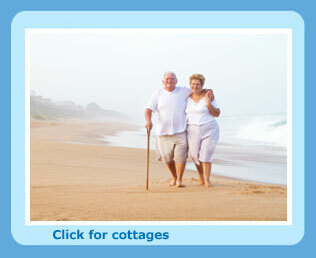 Find out more about holidays for disabled people in UK cottages, suited to your particular needs. You may have mobility issues but are able to manage with a walking frame and simply need a bungalow with good level flooring. This site will help you find self-catering accommodation suited to your particular requirements. What disabled people need on holiday is the assurance that the accommodation is suited to independent living despite any mobility issues. Holiday cottages built for disabled people often include access ramps for wheelchairs, and have parking as close to the front door as possible. Getting around a holiday cottage in a wheelchair is nigh on impossible unless the doorways have been built wide enough and turning spaces in the accommodation have been provided.